Each year, Eumseong, a city in Chungcheongbuk-do, South Korea, holds a Pumba Festival. (Fun fact: this is where United Nations Secretary-General Ban Ki-moon is from.) “Pumba,” which doesn’t relate to The Lion King ( you will hear this joke ad nauseum from the expat community), means “beggar” or “vagabond.” Historically, back when Korea was poor, pumbas would roam the country. They let us pick our costumes. 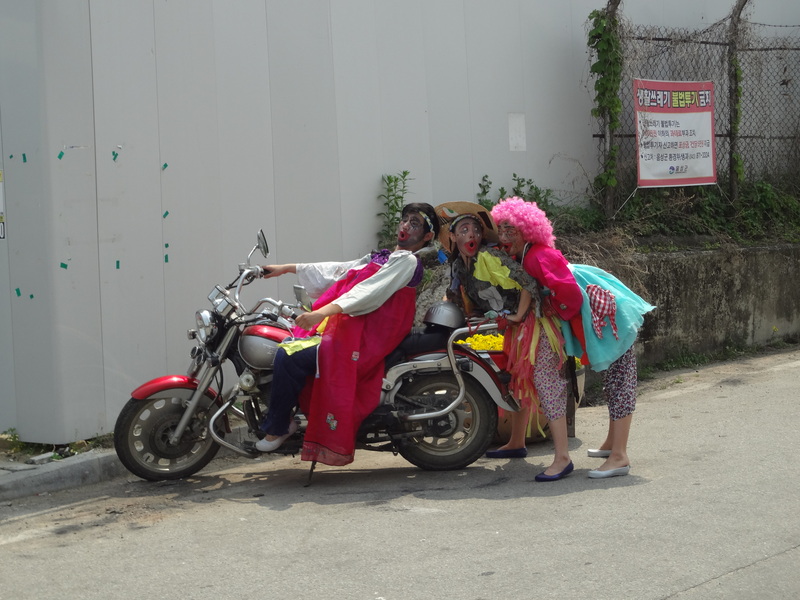 As with most festivals in Korea, there is a parade with people dressed in very colorful, almost clown-like outfits, with their faces painted. 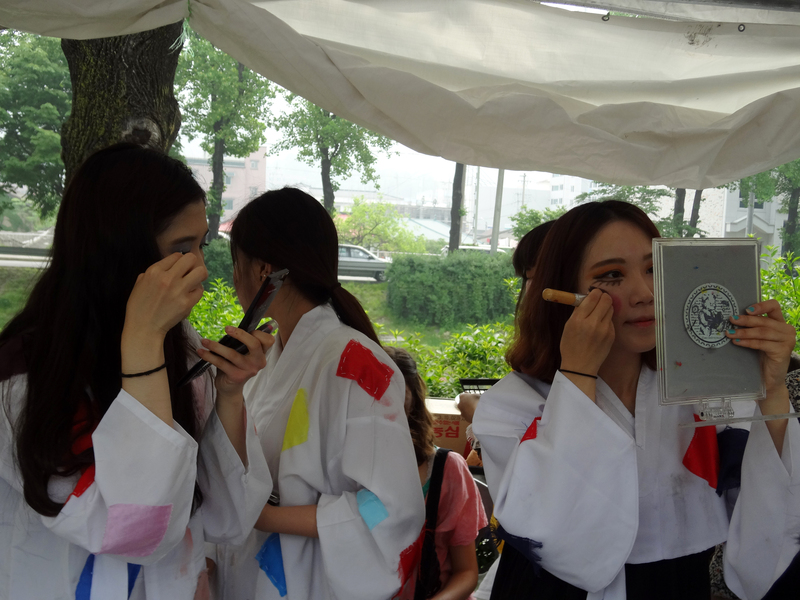 There were gakseori, people who perform traditional dances and play musical instruments. There was also a “beggar opera” in an open-air auditorium that was packed with people. In the beginning, I confess I had misgivings, because having lived in and visited developing countries and impoverished areas, I had no inclination to “celebrate” poverty. But during the festival, I realized that it was really more of a joyful occasion that got everyone in the province together, young and old alike. And like most festivals in Korea, it has to hearken back to something historic. 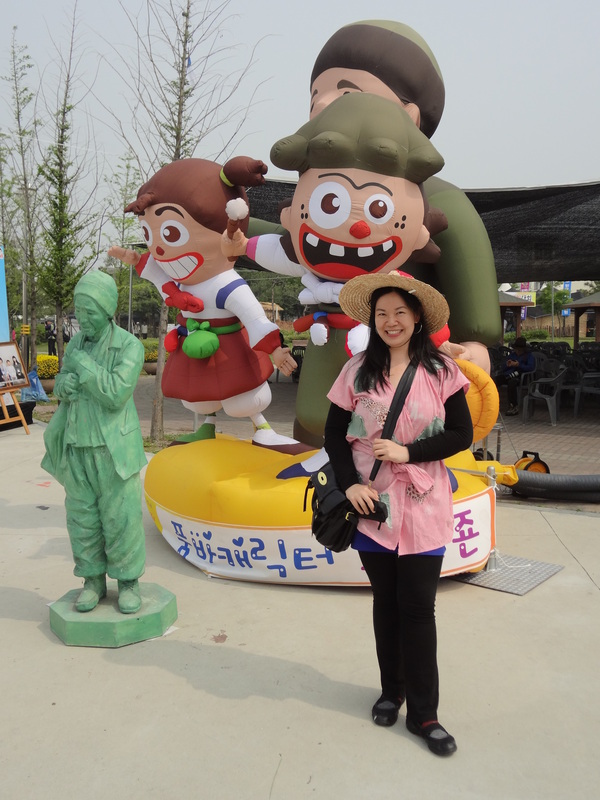 As South Korea is one of the most developed countries in the world, this is a tradition that to me resembles a cross between a mime festival and Mardi Gras. 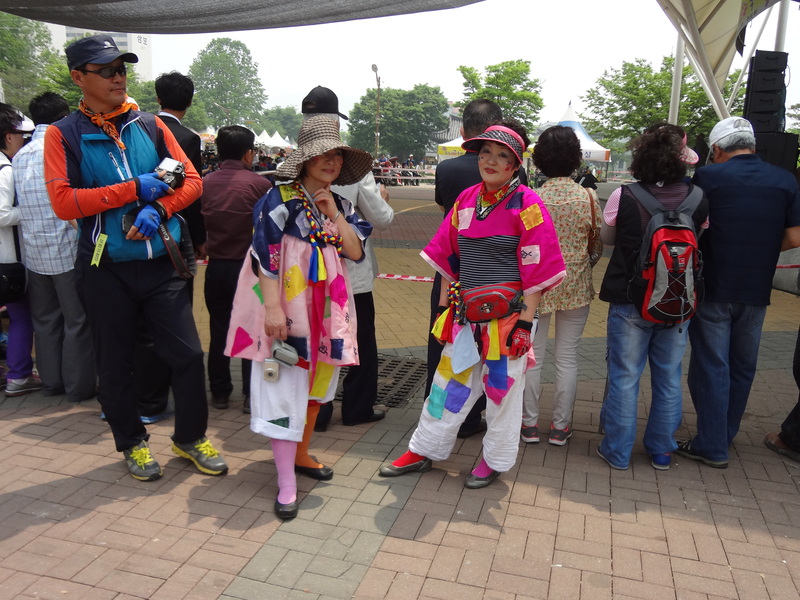 In a country that celebrates perfect porcelain skin, it was refreshing to see brightly colored faces. Ajummas: always the best dressed anywhere and anytime in Korea. Also, as a modern “vagabond” myself, I do kind of relate to this idea of moving around and having to entertain people and struggling to survive. These kids were among the best part. 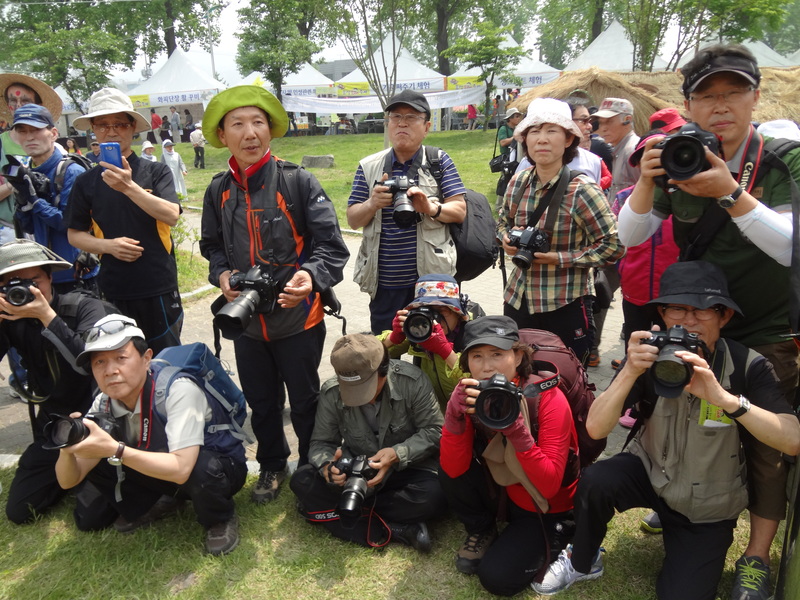 If anything, the most unsettling part of the experience was this army of ajusshi and some ajumma who were decked in hiking gear and DSLR cameras, taking photos of the costumed people who were mostly foreigners like me. Apparently, there was a 1-million won prize for the best photograph. And so we were followed by paparrajusshi all afternoon. They could get quite aggressive and would dive in the strangest positions that I believe yielded the most unflattering shots. I mean, come on. And so I wanted to turn the tables and took a lot of photos of them. Like so. I didn’t really mind, since most were friendly. However, I only posed for one. An ajumma. I don’t get the impression that women here have a lot of rights. I hope she wins the million won.